Made from godly cotton spun through divine looms! 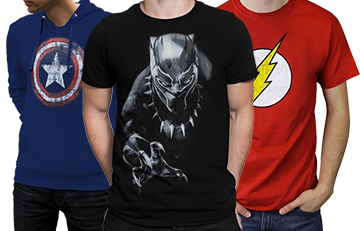 Wearing this t-shirt gets you that much closer to being Wonder Woman. Wonder Woman is certainly inspiring, considering she's the living, breathing, battling archetype of kindness, tolerance, compassion, and love. She also represents the infinite wellspring of female fortitude considering the above attributes are the godly-bestowed super-powers expressed by womankind. 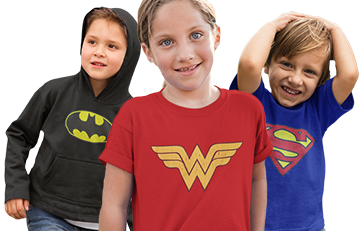 As a young girl, you embrace Wonder Woman's mission of unity through kindness. Heck, you even let your little sister ride your 'big girl' bike on occasion. 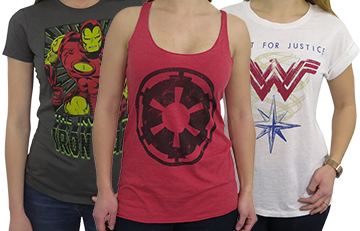 Through your actions, the Amazons consider you their sister, and bequeath you with the Wonder Woman Distressed Symbol Girls T-Shirt. And "patriarch" is just another word for "stinky boy."